An organization that represents more than 1,800 construction-related companies says the industry is in trouble. 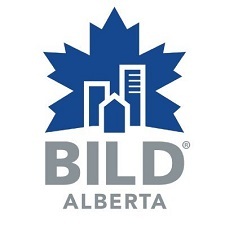 “Our industry is one of the largest employers in Alberta and it’s in crisis,” said Carmen Wyton, CEO of the BILD Alberta Association. “This industry is way more than just big builders and developers. It’s about contractors, subs, suppliers, trades, all of them that are hard hit when Albertans can’t buy a new home,” Wyton said. The organization is speaking out about proposed provincial legislation, Bill 32. “Levies make up a huge component of the cost of the house at the end of the day what the consumer is going to pay. And so that’s the first start, the introduction of Bill 32 includes changes to levies. And what we want to make sure is that the regulations that go along with that are, that there’s some oversight to them. To make sure that they are not allowed to move forward in an uncontrolled way affecting the cost of the home,” explained Wyton. They say every $10,000 added to the price of a home drives away 20,000 potential homebuyers. They’re worried it will cripple an already struggling industry.